It's Tuesday and time to pull something new off the shelf to read. I will be enjoying some historical smutty goodness this week. LOL! Here is what I will be reading. 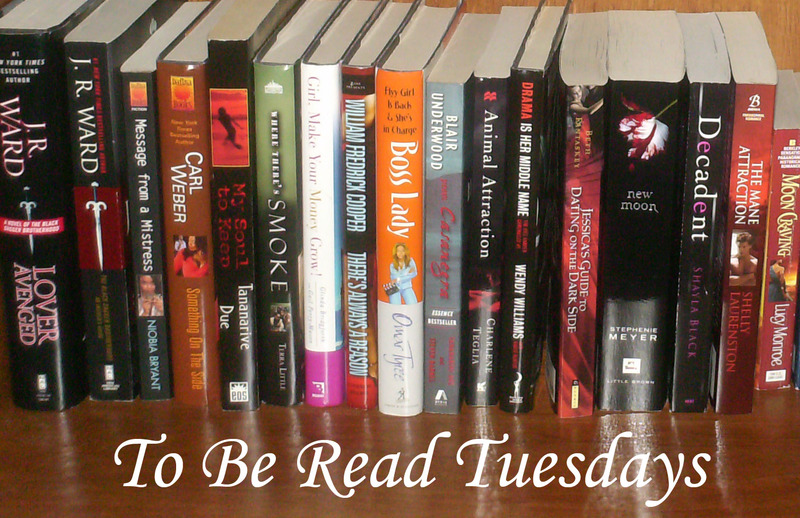 What's on your TBR for this week? Ridiculously wealthy and admired by all, Lady Lucinda Grey is most intently not looking for a suitor. Dangerously handsome with a reputation to match, Lord William Randall, the Duke of Clairemont, has, in every sense of the word, contempt for the state of matrimony. The universe chuckled, and the whole of England would never be the same again. Thrown together when Will’s ties to an elite branch of His Majesty’s Forces assigns him the task of protecting the beautiful lady, neither could have imagined in their wildest dreams just where their association would lead. A French assassin with a penchant for pain, three aunts known about town as The Furies, an elaborate scheme that goes awry at a deliciously decadent mid-spring masked ball, and a priceless Thoroughbred stallion are at the heart of Lucinda and Will’s adventure. And that is only the beginning. The truly death-defying twist? Can a man who’s spent his entire life attempting to forget the existence of his heart accept the one gift that could save him? Is it possible for a woman so sure of what’s right to acknowledge all that is wrong in order to offer her love? Lizzie Paxton's dream in life is to be a widow-if only she could skip the wedding and the husband. When her childhood friend Captain James Marlowe proposes a marriage in name only, she accepts, knowing she'll have the independence she craves once he sets sail. Though James is the only man Lizzie trusts, she doesn't trust the scintillating desire he evokes in her. James knows he shouldn't get involved with anyone, especially with his uncertain future. But he just can't help himself when he overhears Lizzie's declaration. Though he's promised her a marriage of convenience, he wastes no time in seducing her and taking her over the precipice of desire. Yet not even his beautiful wife can deter him from his cause.